Marketingagency.io is a full service digital marketing agency that specializes in developing strategies to assist brands with achieving search engine dominance. They offer cutting-edge and high impact marketing solutions with a high conversion rate. 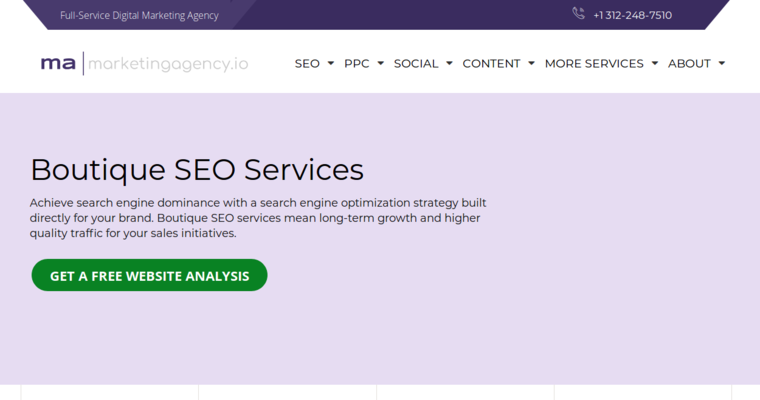 Marketingagency.io provides reputation management, social media marketing, PPC management, link building and local search engine optimization (SEO), among other services. The experts at marketingagency.io are passionate about finding creative ways to optimize the results of lead generation and boost brand exposure. Not only are they committed to providing quality service, their mission statement confirms their focus on delivering measurable results. They develop customized marketing campaigns to build brand equity and exceed client expectations. 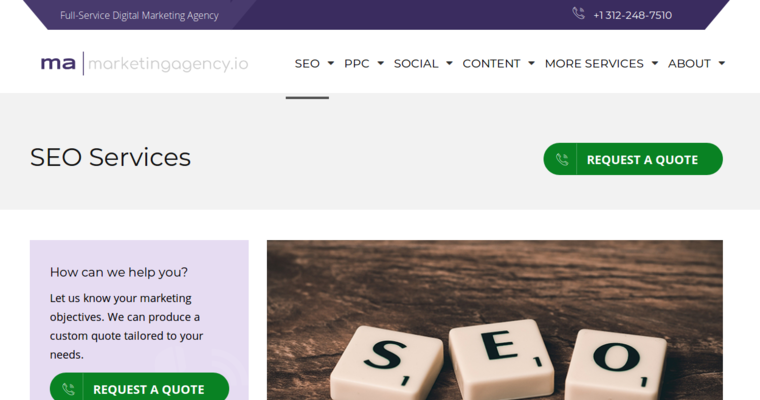 Marketingagency.io uses a boutique approach to digital marketing to identify the most effective strategy for engaging with your target audience and driving traffic to your website. They work with companies of all sizes and have offices in the United States, Canada, Australia and the United Kingdom.